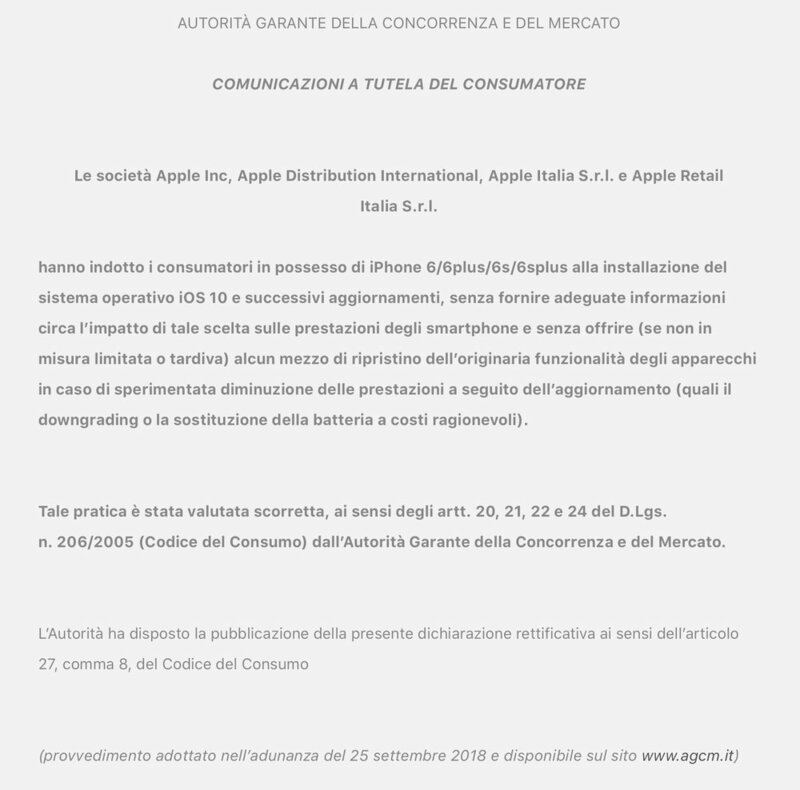 Apple's homepage in Italy has been required to display a notice (pictured) about iOS updates affecting performance if a battery is chemically depleted or not functioning properly, reports AppleInsider. In October 2018, the Autorit Garante della Concorrenza e del Mercato (AGCM), Italy’s anti-trust agency, fined Apple and Samsung 5 million euros (about $5.7 million) each following complaints they used software updates to slow down their mobile phones. The former was fined another 5 million euro fine for not giving clients clear information on how to maintain or replace smartphone batteries. Italian consumer groups had complained that software updates for mobile phones reduced the functionality of the devices and were designed to push clients into buying new handsets. The new notice required by the AGCM is at the bottom of Apple's front page.